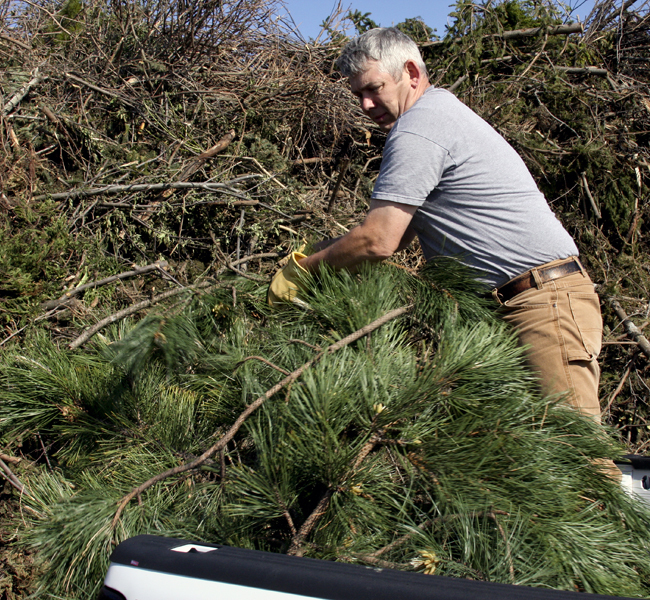 Westminster residents can recycle their tree limbs on the second Saturday of the month, January-December. Limbs can be any length but no more the 8" in diameter. Limbs/shrubs should be from Westminster only to reduce the spread of invasive insects. Tree limbs and shrubs only - no fencing, decking, dirt, sod, etc. LIMBS MUST BE SECURED TO PREVENT THEM FROM BLOWING OUT OF YOUR VEHICLE. Free mulch is available. Bring your own containers or city staff can load the mulch into the back of your truck. PLEASE SECURE THE MULCH TO PREVENT IT FROM BLOWING OUT OF YOUR VEHICLE. No contractors or non-residents, please.